Summer Reading Lists – Let’s think about our favs! 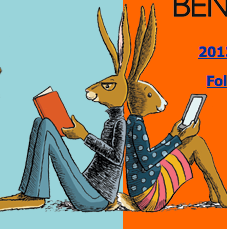 Vote here for the top 3 books you read this year!! On the performance tasks and ELA tests for middle school, and I imagine the Regents as well, students have to cite evidence WITHIN an argumentative essay. 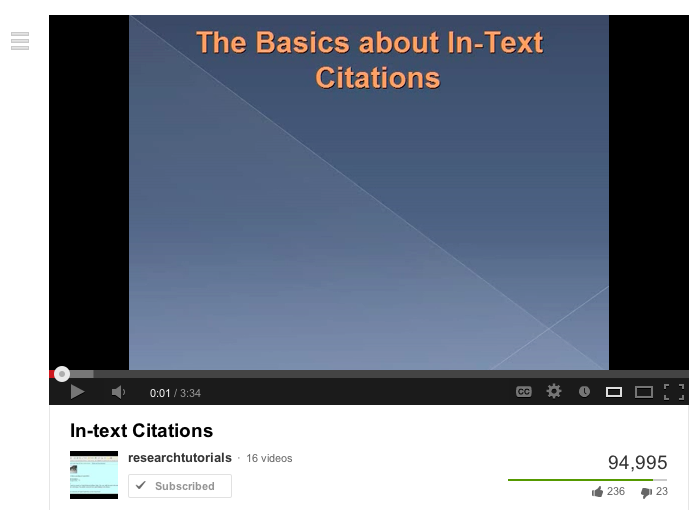 I have taught inline citations and signal phrases. This is a shot of my favorite Youtube tutorial. Here is a link to the Youtube page where this is posted. Here at my curriculum site, you can find some of the handouts I give when I demo reading a short article, underlining the evidence I want to cite, and composing a paragraph using a signal phrase or an inline citation. It is a short mini-lesson and then the students practice doing the same thing. I give them the topic sentence and the article. Then they have to try find a piece of evidence, and either paraphrase or quote using a signal phrase or an inline citation to CLEARLY IDENTIFY where their evidence was found. They are very motivated to do this because I tell them it is high school work and the only way that you can write sophisticated essays. All middle school kids want to be sophisticated! Who knew? In collaboration with the science teacher Steve Younger, we conducted a short research unit on inventions. We wanted the kids to do basic research, but mainly wanted them to think about inventions and create a digital book. Research was only in the forms of dates, names, and cultural background. The main idea we tried to get across is that these inventions were made all around the world and changed lives all around the world. We tied it to the study of culture. All the documents for the unit are here. If you scroll to the bottom of the page. You will find the task, the rubric, and the graphic organizer. The kickoff was a period for them to use the app called Pettson’s inventions. They LOVED it! Concluding the unit, the kids shared their books (I synched them all so now we have a bookshelf on the iPad for inventions!) and we had a discussion about ebooks vs. print books. 1. Do you like reading ebooks or print books? Why? Ruby: I like reading print books because they are easy to read. You don’t have to touch the screen. When you read a print book, you can just turn the page. Pa Raiyon: I like reading ebooks because you don’t have to pick up the ipad you can just look down and swipe and go pick another book. You can just take the ipad out and read another book. Roberto: On the iPad I like ebooks bc you can just make your own books on it. You can read everybody’s books and new books. And different collections like ASL. Brittany: I like ebooks bc it is much easier to do it. Sometimes you don’t need to hold it. 2. What is the difference between ebooks and print books? Brandon: The difference between the print and ebooks is because the ebooks are on the ipad and the print are alive in your hand. Fendie: The difference between print and ebooks is the ebooks you can just use your fingers and in a print book you have to use your whole hand. Jada: The difference between and ebooks and a regular book, when you are reading a print book you are not the person who wrote it, but an ebook you can write it and read it. Pa Raiyon: The difference between ebooks and print books is well, you can on the print book you can take it out of the library and just read it. But on the ebooks you can sign it or say it while you are reading it and you can make your own video. 3. Do you like making ebooks or print books? Why? Haneef: I like making ebooks because on an ipad you can make your own pictures and words and you can make your own fiction or nonfiction books and ebooks. Shylene: I like print books because you get to draw and you get to do art. Skye: I like making print books better because on the ipad people can mess up very easily and on paper it doesn’t make a huge line. Eliza Jane: I like making ebooks because I get to draw alot and I love to draw. 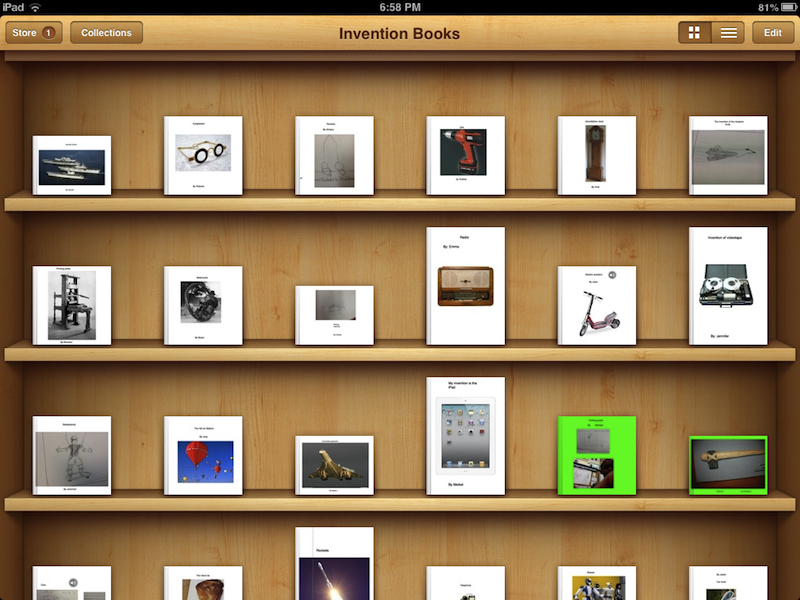 Roberto: I like making ebooks because people can see it on the ipad. You can go on iBooks and they can see it. Collettte I Like ebooks better because you can just like make your own story. You don’t have to think a long time and spend time writing, writing, writing. I don’t like paper books because you have to go out and get material for it. It is a lot of waste of time. But with ebooks just get the app. Then I asked them what else they would like to create. This is their response. They clearly want to create the media they consume. We need to help them do that.